Megatron Print uses state-of-the-art printing technology to provide affordable, full-color custom labels and stickers of all shapes and sizes. From small orders for individuals, to the bulk needs of big businesses, Megatron Print is equipped to handle and fulfill custom label and product sticker, orders of all types. Best of all, like the name implies, we provide exceptionally quick turnaround for all your printing needs. Create memorable marketing campaigns with our durable stickers. Printed on premium stocks and liners, Megatron Print stickers adhere perfectly to most flat surfaces. With the exception of our weather resistant Bumper Stickers, Megatron Print stickers are not intended for outdoor use. 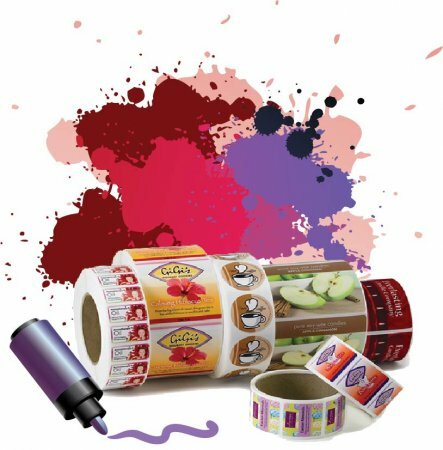 Ensure your product stands out by creating a Custom Printed Roll or Sheet Label that complements your design and represents your brand. We offer an incredibly wide variety of stock, size and finishing options making it easy for you to create a Custom Roll or Sheet Label that’s specific to your needs. Custom Window Clings are screen printed with up to 6 of our standard inks for a stunning print that will last up to 5 years in the sun. These window decals should be placed inside of a glass surface to be viewed from the outside .We print white ink behind your graphics, free of charge so your design is as bright and vivid as your message.